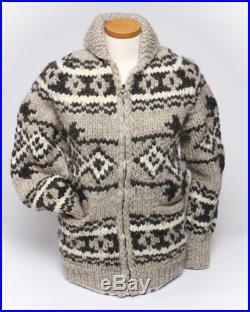 Wool sweater, handknit, canadian, 100% wool, cowichan sweater, wool jacket, knit, mens sweater, womens sweater, traditional style, roving, christmas gift, winter jacket, vintage stylethese traditional canadian jacket sweaters are handknit from unspun 100% canadian wool. They are hand made in canada with canadian wool, even the sheep are canadian the special type of wool used gives this garment uncomparable warmth and softness. 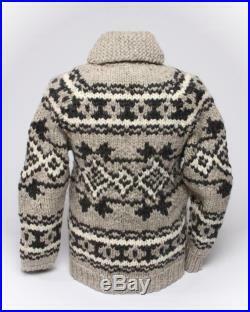 They are each knit by hand and then have a sturdy metal zipper sewn in. The wool has the natural oils kept in it during processing which gives it a water repellent quality. These sweaters are perfect for keeping you warm during even the coldest winters. 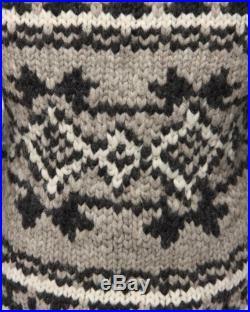 With a love of the cowichan sweater from british columbia i began making these sweaters. I use different patterns, old and new, from across canada as well as some of my own. 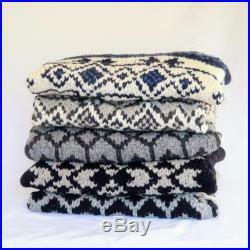 Each sweater is unique and is made to be cherished by its wearer for many years. This is a garment you will have for a very long time - they are made to last. 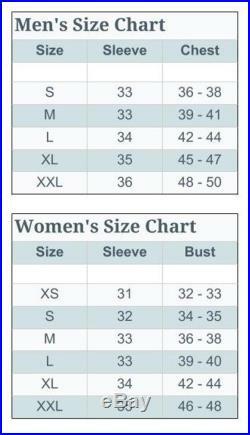 Sizes available upon request - ladies xs to mens xxl (other patterns available as well)see size chart photo for sizing.